We are the church, whether we are gathered or scattered--each one of us, a part of the body of Christ, wherever we go, whatever we do. So, where can you find us, and what are we doing? John Lowrey and his student Kid’s Hope USA student, Kaden. John and Kaden just began meeting this school year. Lara Shea and Camille. This is their 2nd year together. Melissa Lee and her student Lila. This is their 3rd year together! One-on-one, positive attention from caring adults makes all the difference in the life of a child. That's what the Kids Hope USA program at Five Oaks is all about. John, Melissa, and Lara (as well as 24 other adults--27 total) take one hour out of their weeks to go to Woodbury Elementary School and spend time with their students. 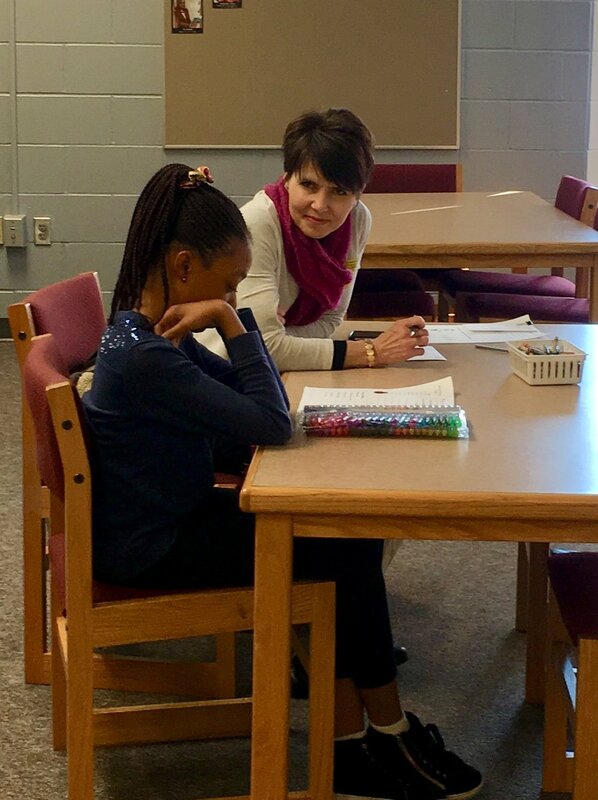 Each mentor is matched with just one student to create a very special and supportive mentoring relationship. Ask the mentors, most will tell you they receive an equal blessing from these kids. That’s Five Oaker Jay Preston and the fireplace mantel he designed and built for us. It only took 13 years! No, not the work Jay did. 13 years for us to get around to filing that empty space. And it looks great! Jay has been a dedicated behind-the-scenes volunteer who has helped us envision, create, and install all kinds of things around our building. 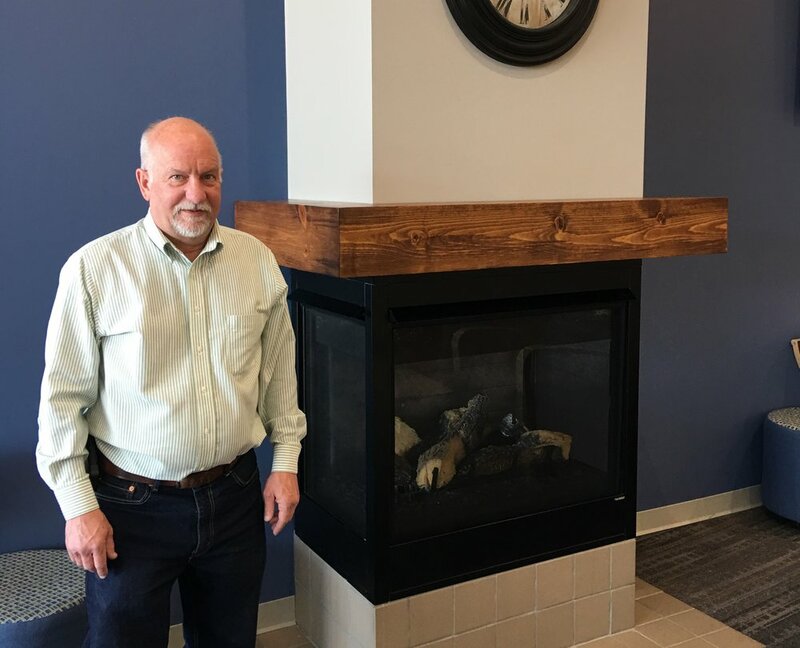 Not only did he build a beautiful mantel for our fireplace, he also designed and created the hangers for the chalkboards on ministry carts and for the large Family Resource Center sign. Jay even designed the parts to safely anchor our bookshelves to the wall slats at the Family Resource Center. We appreciate Jay’s ability to envision a solution to a problem, create it, and install it. His talents have helped us “finish” many creative projects in our building!